A highly digestible milk replacer for baby pigs. Use as a replacement to sow’s milk for orphan or starve-out pigs or as a management tool to supplement large litters. A highly digestible milk-based porridge for baby pigs. 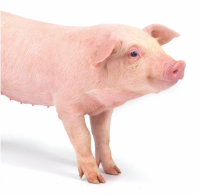 Use as a management tool to supplement large litters or as a transition to PigTech Early Wean. A highly specialized pre-starter diet, designed with milk and plasma proteins, to be used as a creep/first stage for early weaned piglets. 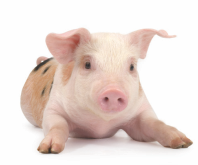 Specialized pre-starter with milk components and plasma proteins, to follow PigTech Early Wean or as a first stage/creep for traditional weaned piglets. 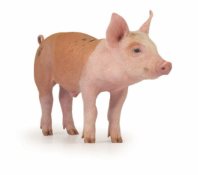 Specialized pre-starter with milk components and plasma proteins, to follow PigTech Early Wean or as a first stage/creep for later (24+day) weaned piglets. A less complex pre-starter diet, designed with milk components and introducing grains to ease the transition of piglets from specialized, milk-based diets to a starter. To follow PigTech Wean. A less complex pre-starter diet, designed with milk components and introducing grains to ease the transition of piglets from specialized, milk-based diets to a starter. To follow PigTech Late Wean.